On a recent project I worked with a lot of 1/2″ material. Most hardware is intended for 3/4″ stock. So the obvious problem is that most of the screws supplied were too long. 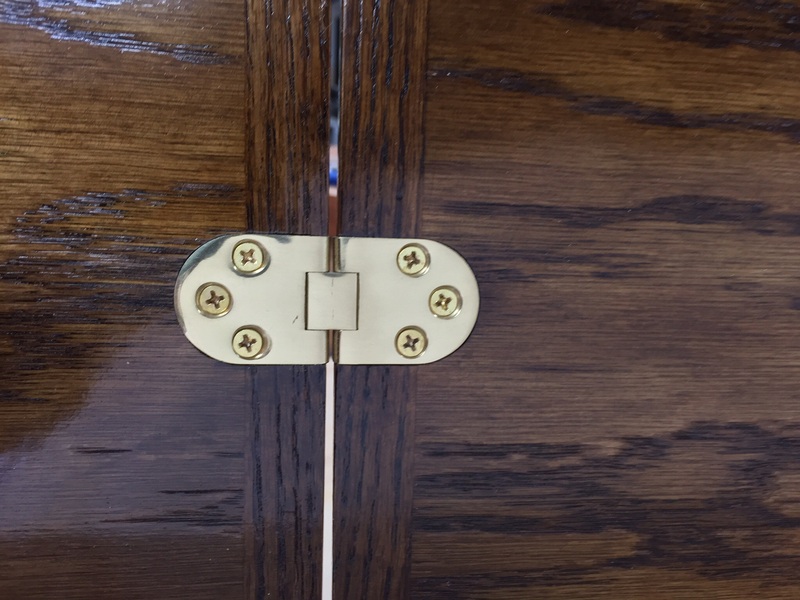 Now you can buy shorter 1/2″ screws, but when you mortise your hinges, 1/2″ screws are still too long. So what do you do? 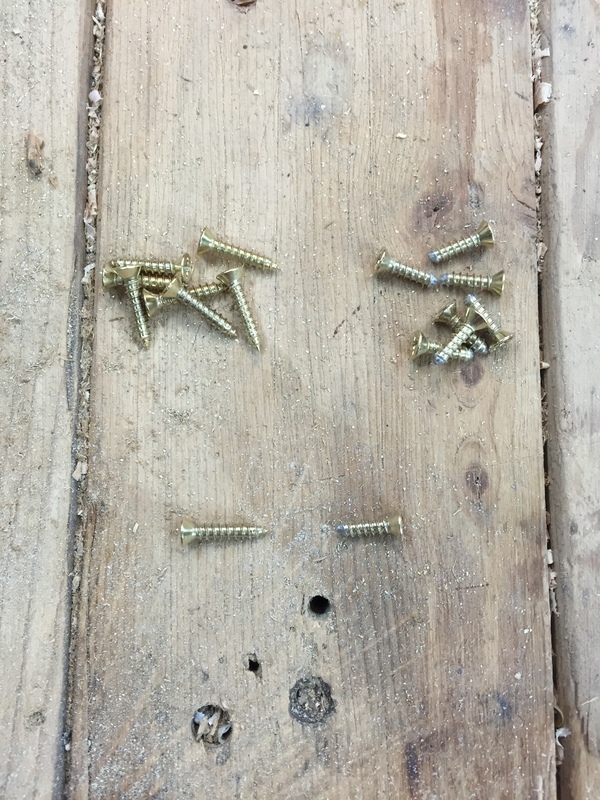 You cut down the screws (I know what you’re saying, but that’s another post!) Here’s how I did it after trying to clamp the screws in a couple of different vices to no avail. 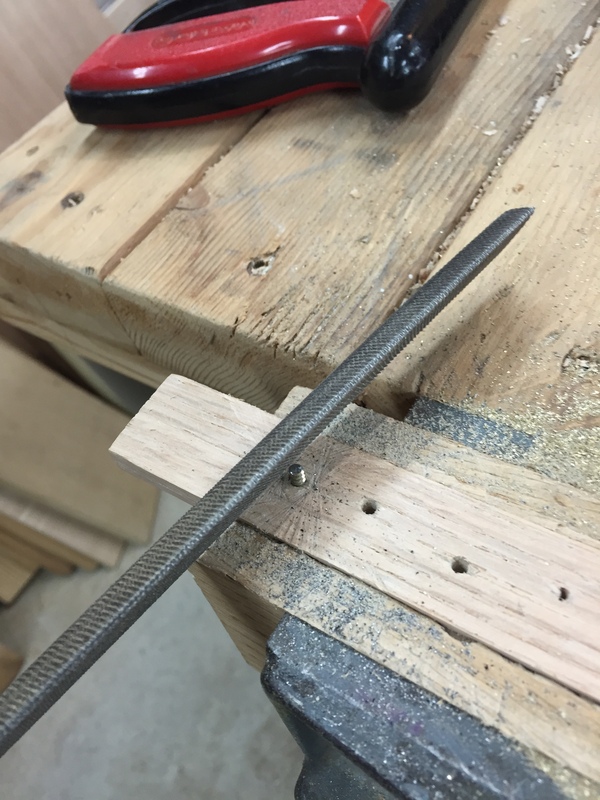 Screw into hardwood and clamped in a vise. Then cut off the length with a fine hacksaw blade. 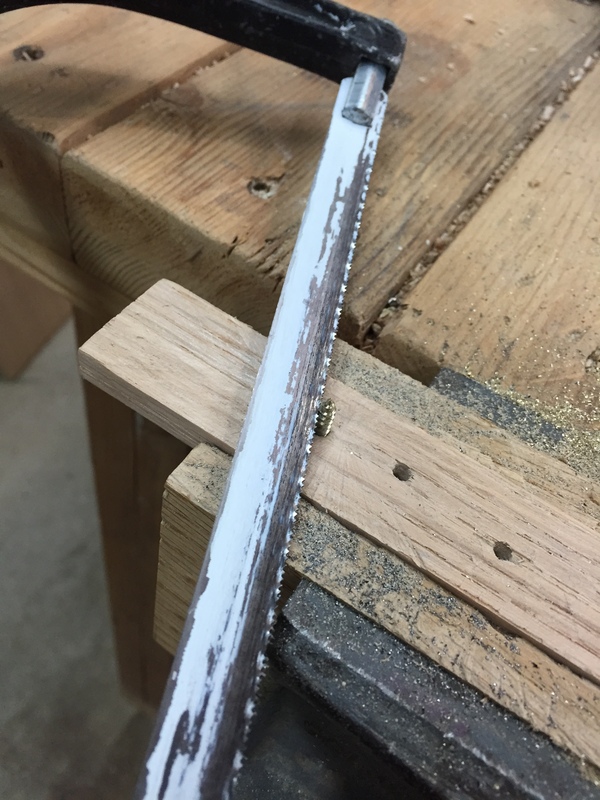 Cut with a fine tooted hacksaw. Then file the point with a file to get rid of any burrs that WILL wallow out the hole. Be sure you file it! 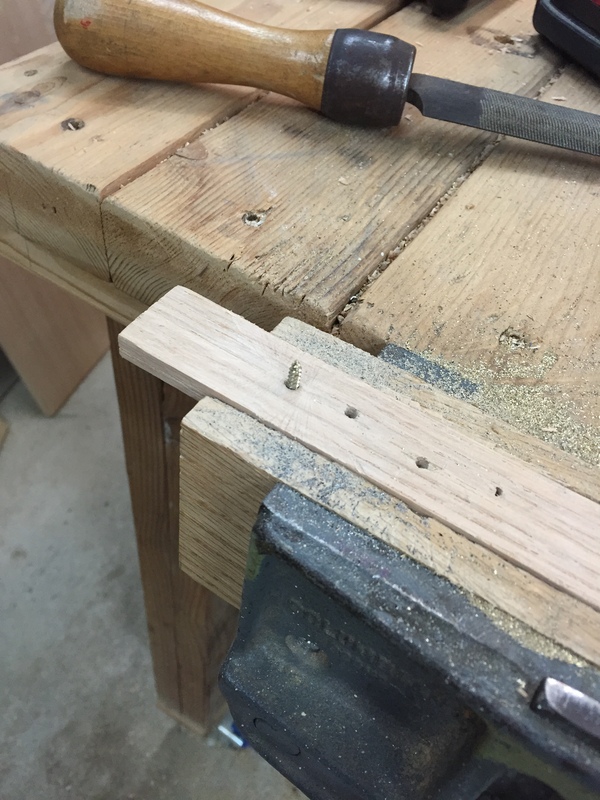 I suggest you pre-drill the holes in your project, and establish the threads before installing the cut screws. While it’s a bit meticulous, especially when you need a lot of short screws, this method works great! Long screws (left), cut screws (right).